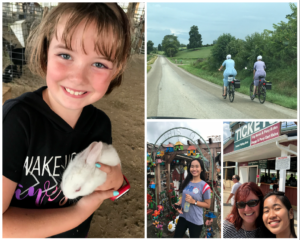 We added a fabulous new family member this summer, so we’re doing even more exploring and family fun outings than usual to help introduce our Thai exchange student, Napa, to our beautiful state. 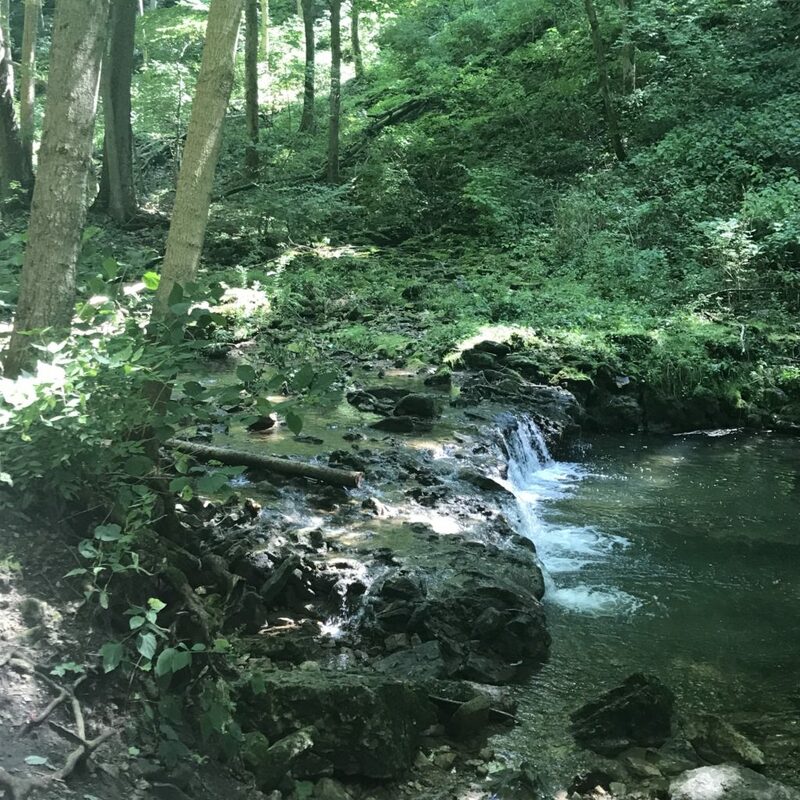 One of the great things about hosting an exchange student is that you learn all about another culture and place while becoming even more appreciative of your own! Last weekend, we took a family drive up to Ohio’s Amish country and had such a fun day I just have to tell you about it. 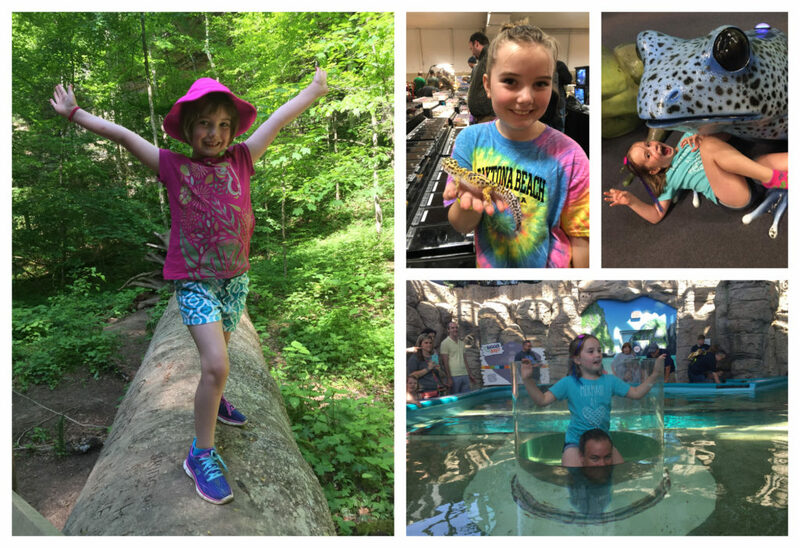 I’ve blogged before both here and elsewhere about our family’s favorite things to do in Amish country; it typically involves warm and fuzzy animal encounters plus absolutely delicious food. 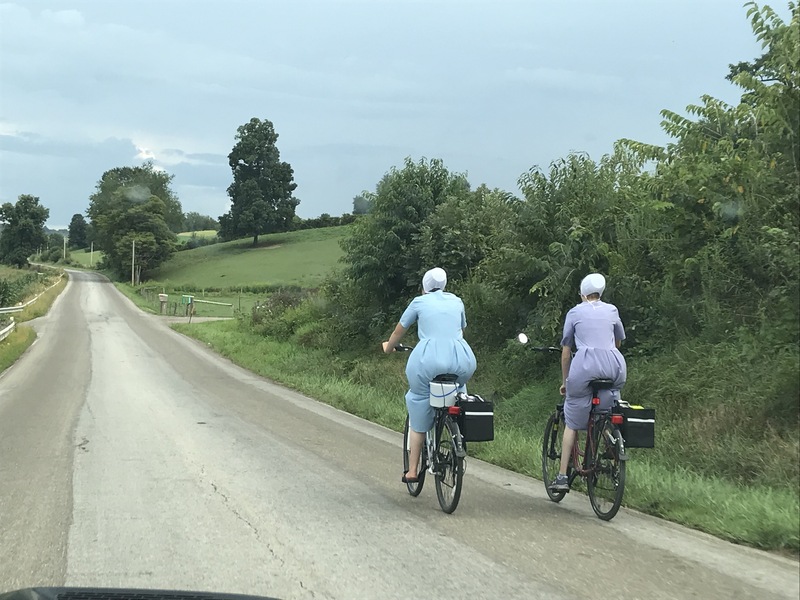 Our most recent Amish road-trip was no different. We headed out on a sunny Saturday morning from Lewis Center and drove for about an hour before the countryside grew more rolling and picturesque, the highway changed to scenic country roads and we began to see the telltale signs of Amish life: most notably, horse-drawn buggies everywhere. Our first stop was Hershberger’s Farm and Bakery in Millersburg, which I’ve told you about before because it is SO awesome. Want to shop? They’ve got you covered. Want to eat? Same. Want to frolic with baby farm animals, pet and feed goats, ride horses or ponies, or go for an authentic Amish buggy ride? 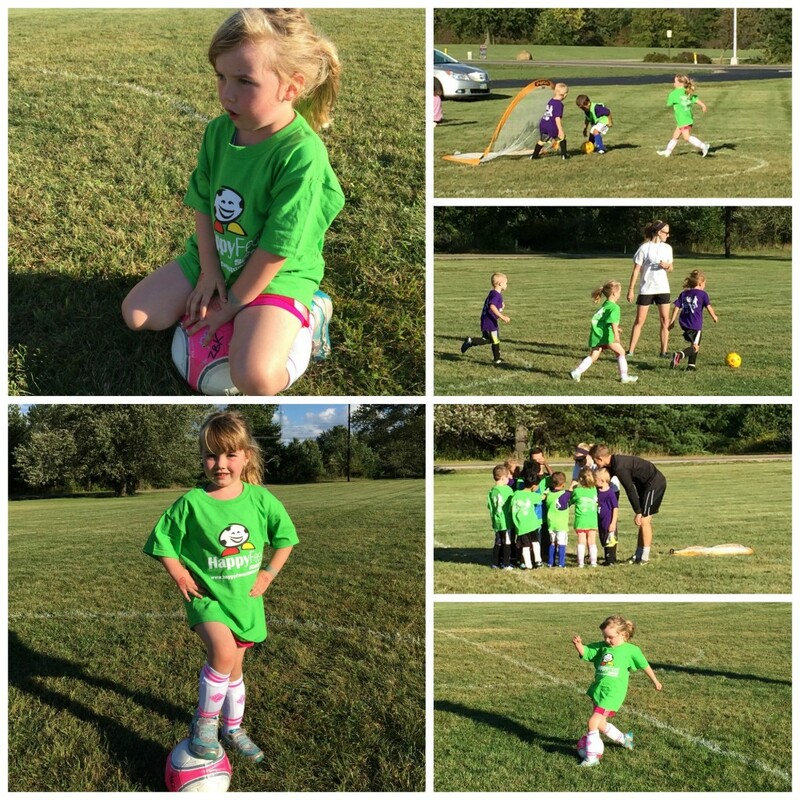 You got it – Hershberger’s has it all. We had a great couple of hours there, including the aforementioned horse and buggy rides, which we loved! I dare you to not fall in love with many of their adorable critters. So many wonderful babies and mamas! Don’t forget to walk the path alongside the adjoining fields, too, because there are more cute babies out at pasture. Before leaving Hershberger’s, we were sure to stop in and purchase some wonderful Amish fry pies to go. Yum! Then, it was on to our next stop – lunch in adorable historic Walnut Creek, Ohio. 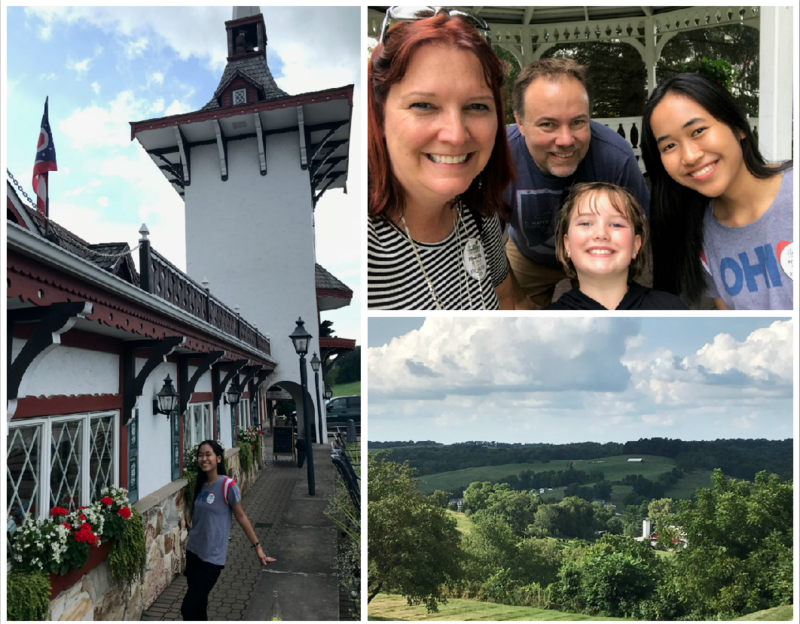 I had hoped to head to our favorite place, Rebecca’s Bistro, but it was closed so we enjoyed a traditional buffet meal instead at the iconic Der Dutchman. Ever since, I’ve had major regret that I didn’t take home some of their legendary Amish Peanut Butter Spread. So delicious! We were pretty full and happy by that time, but one can’t visit Amish country without taking home some cheese, so we made one last stop at the picturesque Guggisberg Cheese. This involved exploring their shop as well as wandering around their charming property and gardens for a few family photo opps. With some of their award-winning baby Swiss in hand, we hopped back in the car for a relaxing drive back to the LC. If you haven’t been up to Amish country, I highly recommend it – just be sure to stay away on Sundays, when everything up there is closed. A sunny Saturday in spring, summer or fall is a perfect day for a roadtrip to Ohio’s Amish country! What are your favorite Amish sights, activities and foods? I’d love to hear in the comments below or over on Facebook.